I've never had even the slightest interest in football, but Brian Clough was a great man. I'm proud to say I come from the Nottingham/Derby area and he is deservedly a local hero. Watching him dismantle poor reporters was some of the best TV! 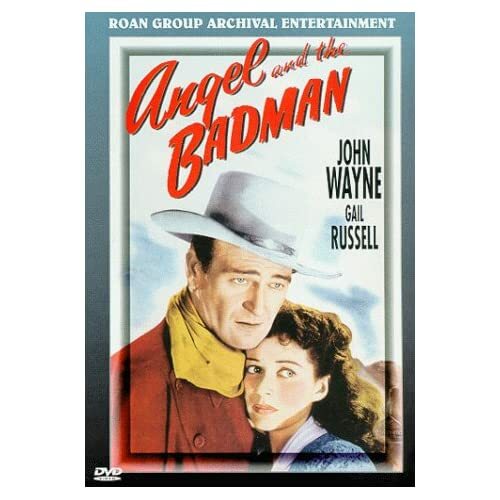 A gunslinger named Quirt Evans (John Wayne) is injured and taken in by a Quaker family. Slowly, their ways and the growing love between him and their daughter begins to change him. This was the first movie produced by John Wayne, who also starred in the film and the only film directed by James Edward Grant whose real trade was screenwriting. Though Grant is certainly no Howard Hawks or John Ford, this film is surprisingly effective and holds up well today. As with many of John Ford's films, much of the film was shot on Monument Valley and used many familiar character actors including Harry Carey Sr. and Bruce Cabot. Though not one of John Wayne's most famous films, this is one I really like and I enjoy coming back to it again and again. As with many Republic pictures, this film has fallen into the land of public domain and there are many copies out there, some good and some bad as far as picture and sound quality goes. My copy is from The Roan Group, a company that had a great reputation regarding quality product...at least until they were bought out by Troma. If you can find a Roan copy, that's the one to go for. Of course, as with many older films, there are no real extras to speak of, just some text about the background of the film and a screen showing the main players in the film. A movie about a blind female swordsman I watched today at the AsiaFilmFest. Overall I enjoyed this movie, even though it begins to drag in the second half. It's time to buckle that swash! 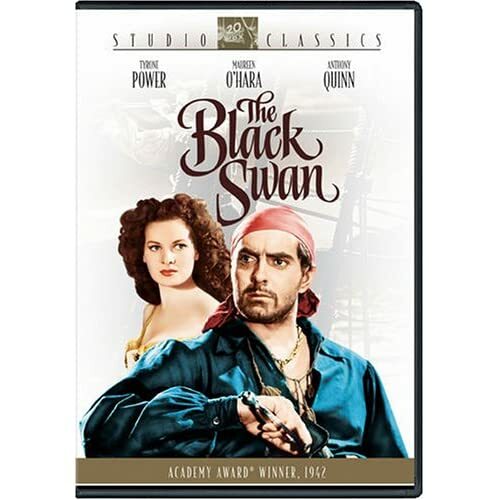 Join Tyrone Power and his cronies (including every whiskey drinker's favorite seaman, Captain Morgan) as they join him in Jamaica after being pardoned by the king of England...until another seaman (played by George Sanders in a bright red wig and beard) continues his evil ways attacking the king's ships and stealing their bootie. It's a rollicking high adventure shot in beautiful Technicolor. It also has an interesting audio commentary featuring actress Maureen O'Hara who revealed that in her first color film, she got "klieg eyes" due to overpowering lights and vowed to never shoot another color film again until cinematographer Leon Shamroy surprised her with the low level lights he would use. This is certainly an incredible-looking picture with vibrant colors and terrific battle sequences both at sea and in castles on the mainland. If you enjoy a good pirate adventure, this is one you need to see. This sweet romantic comedy reunites 'Sleepless In Seattle' stars Meg Ryan and Tom Hanks. He's the owner of a bookstore chain; she's the woman he falls for online. Both are unaware that she runs the little shop his company is trying to shut down. I have always enjoyed this movie. Tom Hanks and Meg Ryan are both great in this one. I think they have great chemistry together. The only thing I didn't like is the horrible product placement of AOL, which really dates this movie. If you liked The Black Swan you'll love Captain Blood. Although I've always preferred Errol Flynn to Tyrone Power in these types of roles so maybe it's just me. 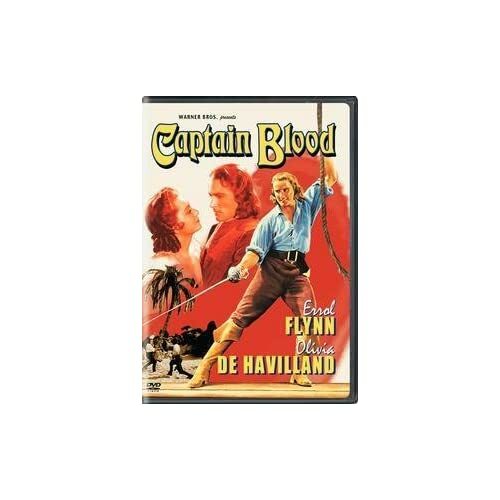 After watching "The Black Swan", I was in the mood for even more swashbuckling so I decided to pop in Errol Flynn's first starring role in a swasbuckler, "Captain Blood". Ironically, both films were based on novels by the same writer, Rafael Sabatini. Captain Blood came out 7 years earlier and was shot in black & white so you don't get the lush color photography of The Black Swan but it looks very good for a 74 year old black & white film. You get more big ships, armies of men swordfighting all at once, both on land and at sea. Unfortunately, you don't get Maureen O'Hara this time, having to settle instead for Olivia de Havilland but you do get Errol Flynn so perhaps that's a fair trade off. Unlike the other film where the lead character starts off being a pirate, this time you get the long story of how he became one...being arrested and sold off into slavery and finally escaping with fellow slaves and taking over a ship. Basil Rathbone is in this film, too...but not for a long amount of screen time but he does have one excellent sword fight sequence with Flynn which is definitely one of the highlights of the movie. The DVD has a lot of extras including a featurette on the movie, audio-only bonus radio program, and the original trailer. They also have a presentation of Warner Night at the Movies where they try to show you what it was like seeing a movie back then...besides the movies, you get some shorts also from 1935 including a newsreel, movie trailer of another film, musical and comedy shorts and a cartoon. There's a lot of entertainment for your buck here, especially considering that, as I write this, you can pick this up in the U.S. currently for about $6. OK - I at least got my list ready to go. Tomorrow I'll actually watch something and post the review. Decided to do an "Hollywood Legends" theme as well. Works for most of the movies I picked. All but one of them I haven't seen before so I have no idea what to expect on most. Looking forward to it. Boy did Kevin Smith drop the ball on this one. The story is rather lame and feels forced (admittedly, the story is rarely the main focus of his films, almost like a McGuffin) and especially the acting is very flat, feels like the lines are merely recited, not felt. It clearly shows that Jay and Silent Bob are great side characters in front of the convenient store (or burger joint) but cannot hold a movie by themselves.